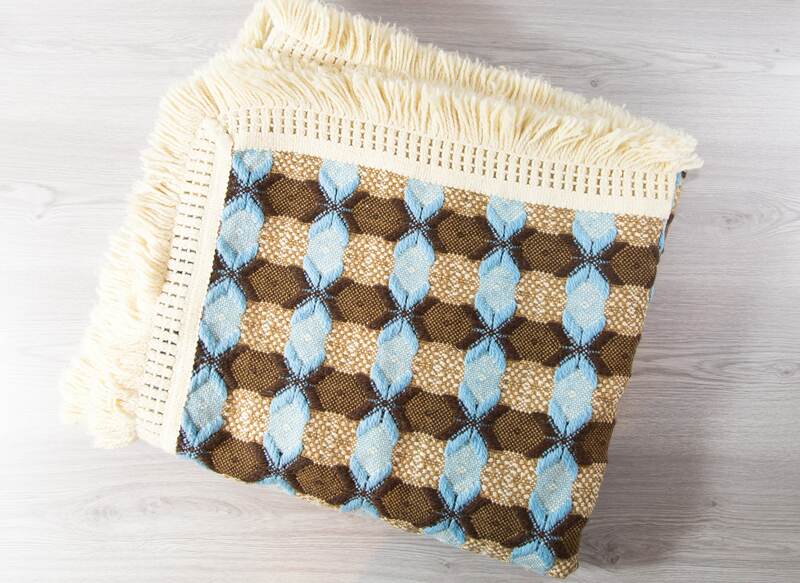 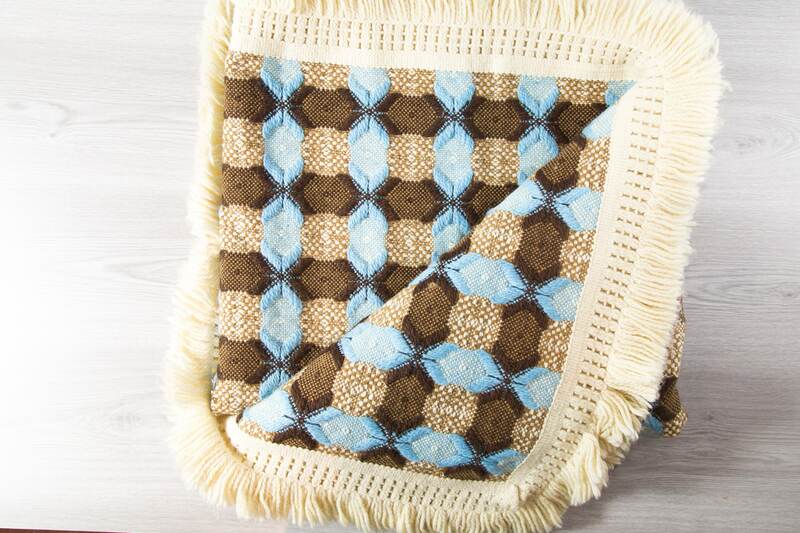 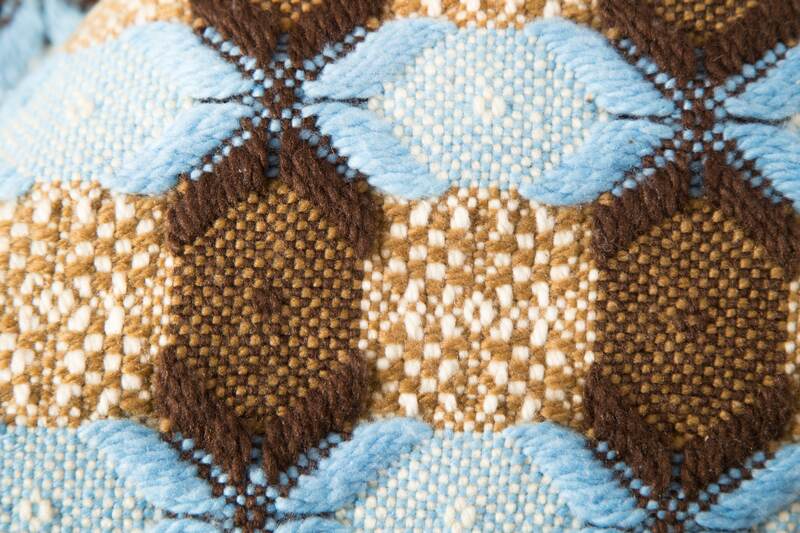 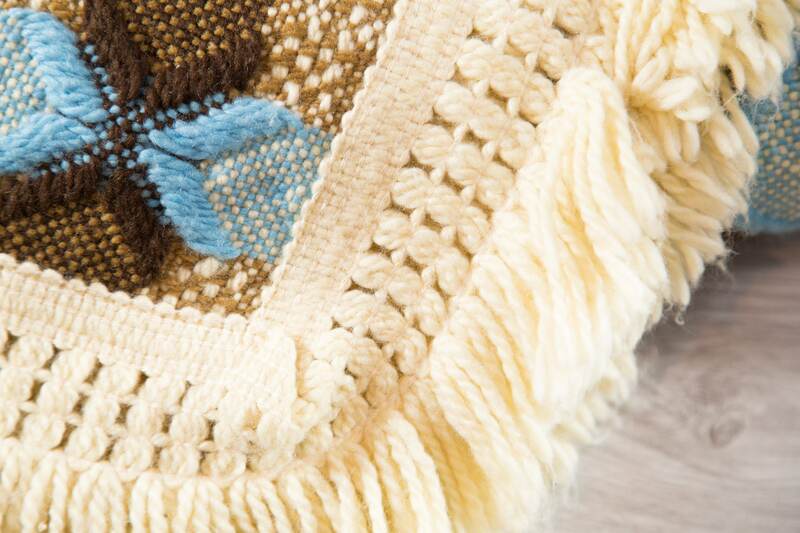 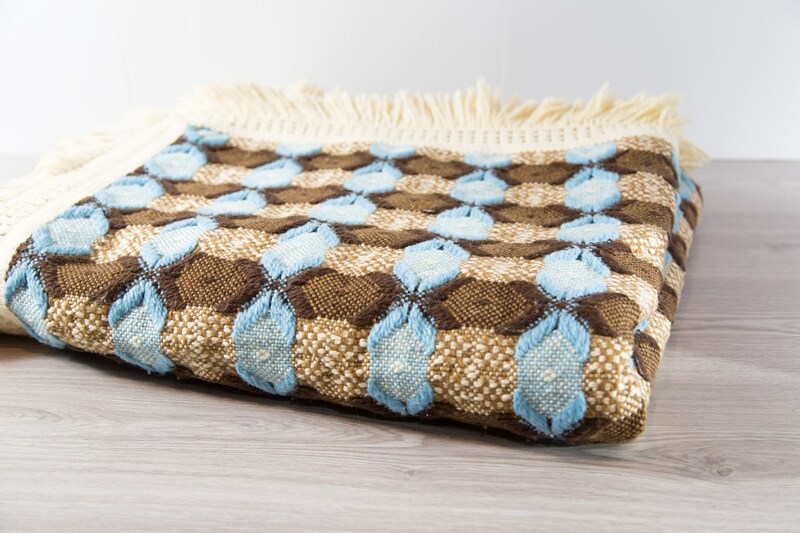 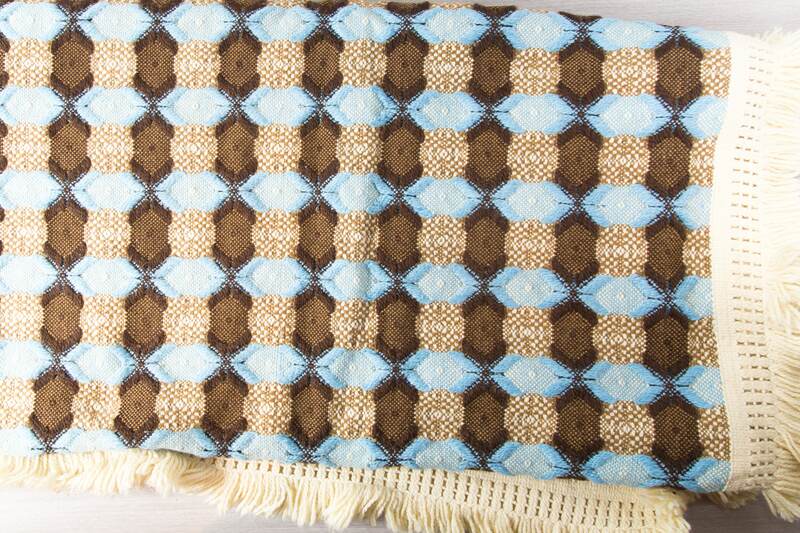 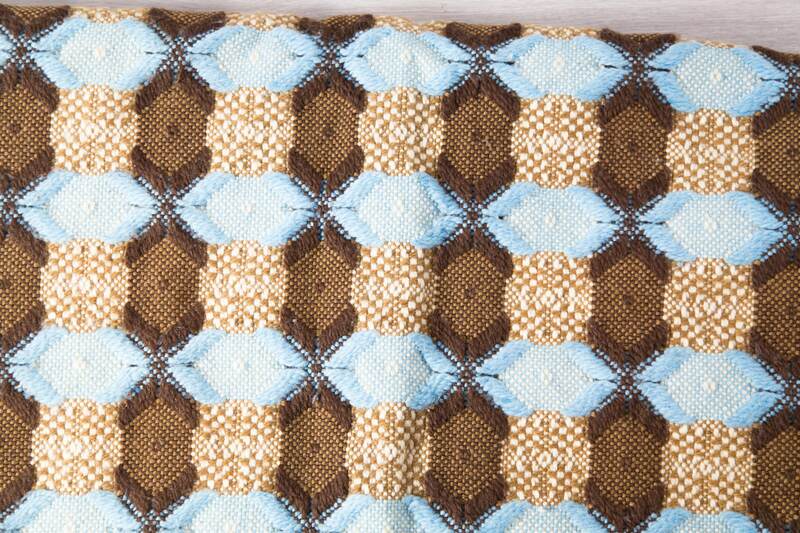 This is a wonderful vintage geometric diamond pattern blanket with blue and brown tones and a cream fringe. 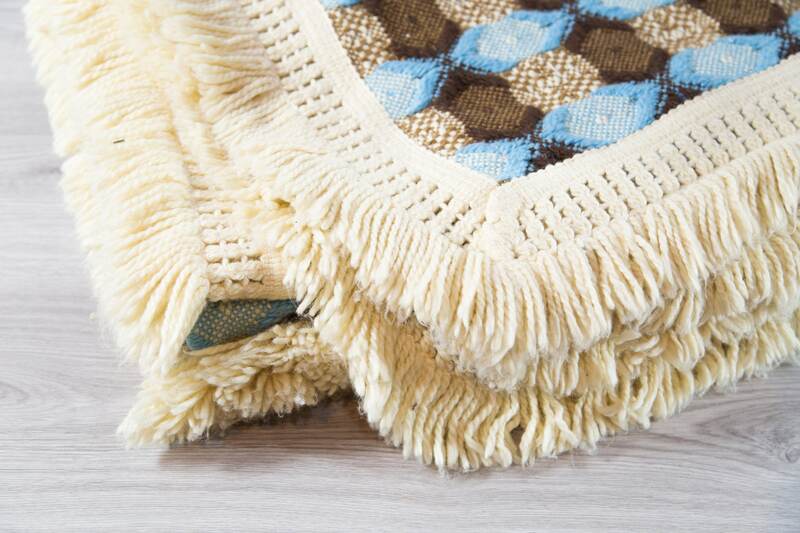 Excellent, like new condition. 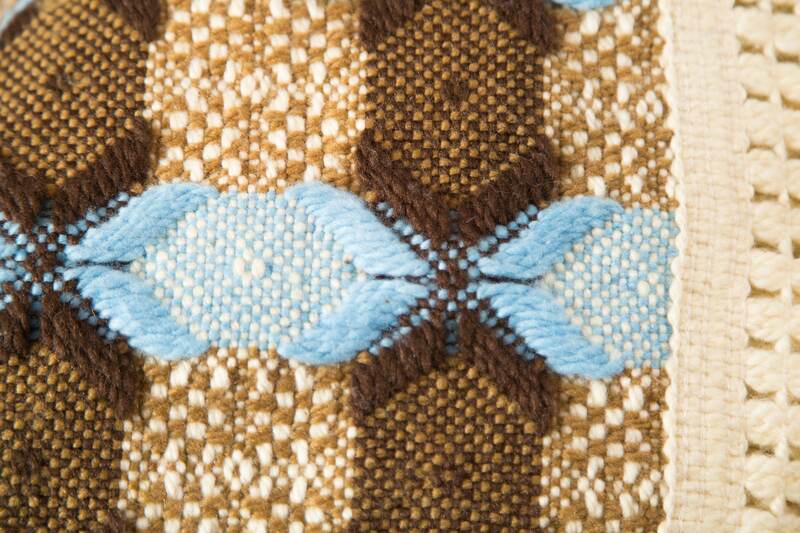 Please see photos.